Warrenton bed and breakfast travel guide for romantic, historic and adventure b&b's. Browse through the iLoveInns.com database of Warrenton, Virginia bed and breakfasts and country inns to find detailed listings that include room rates, special deals and area activities. You can click on the 'check rates and availability' button to contact the innkeeper. Warrenton, Virginia is located in the state's wine region and also has a good number of historical sites such as the Old Jail Museum, two buildings built in 1808a and 1823. Battlefield Tours in the area cover the battlefields in Manassas, Bull Run, Fredericksburg, and Spotsylvania. 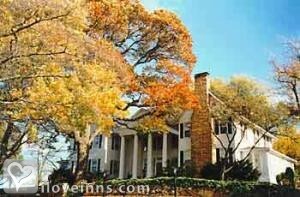 Innkeepers at Warrenton bed and breakfast inns can provide information about the tours. Other activities in Warrenton are polo and Gold Cup races at Great Meadow, horseback riding in Marriott Ranch, or riding the trails from Blue Ridge Lane Riding. Fox hunting is also a traditional activity. Another option for horseback riding and trail rides is facilitated by Kelly's Ford Equestrian Center. The wineries near Warrenton are Bleu Rock Vineyard, Farfelu Winery, Gray Ghost Winery, and Oasis Vineyards and Winery. By Black Horse Inn.